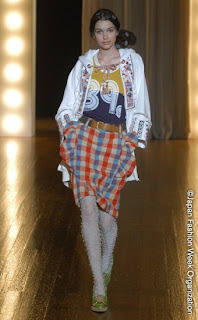 Japan Fashion Week is upon us! We are only mid-way through the week and have many more shows to go, but so far the mercibeaucoup show stood out to me. 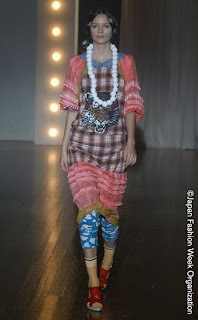 Designed by Eri Utsugi, this line reminded me of a hip and funky Raggedy Ann doll. I can't help but love it.